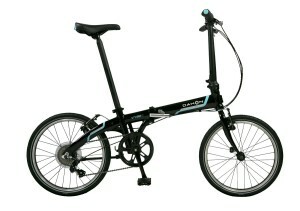 One of the cheapest folding bikes around. Functions extremely well off-road and is more than capable of handling urban roads too. 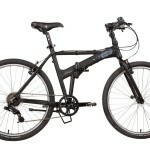 A good bike for the money, but there are far better alternatives available. 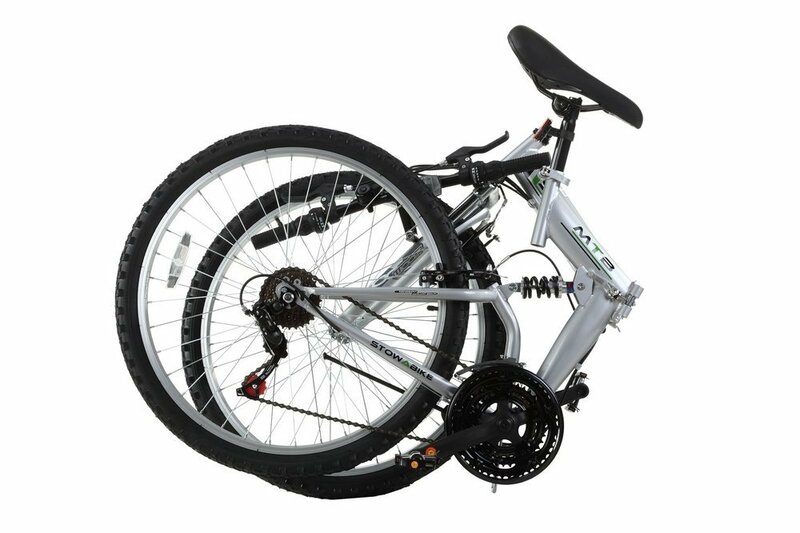 This review of the Stowabike 26″ folding mountain bike illustrates that folding bicycles can be used in a truly wide range of terrains – off of the road too. Stowabike is a relatively cheap brand that prides themselves on getting the most out of their products while charging very minimal prices. 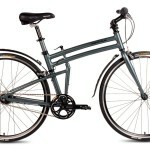 The Stowabike 26″ model is almost entirely comprised out of components from Shimano. 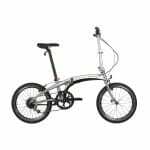 This folding bike has an exceptional suspension system, it has two key components and functions very well – reducing all shock impacts considerably. 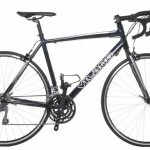 When I received the bike I immediately knew that it was well built and would take a lot of beatings before it could be damaged. All of the components, although they are clearly cheap, seem to be well made – as you would expect, being crafted by Shimano. 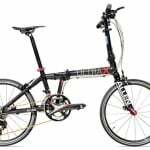 Clearly the most striking feature of this bike is the 26″ frame it boasts, it is a very large folding bike, but because it folds away it can be transported anywhere relatively easily. 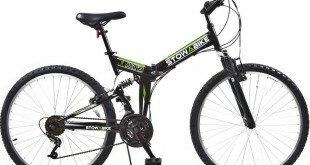 The unique selling point of the Stowabike 26″ is that you can utilize it off-road as a mountain bike, as well as on the roads throughout an urban environment. Clearly the bike isn’t going to fair as well as a road bike with thin tires, but then again, a road bike could never be used off-road like this model can. There are two version of the Stowabike 26″; one designed for cities and one for off-road. 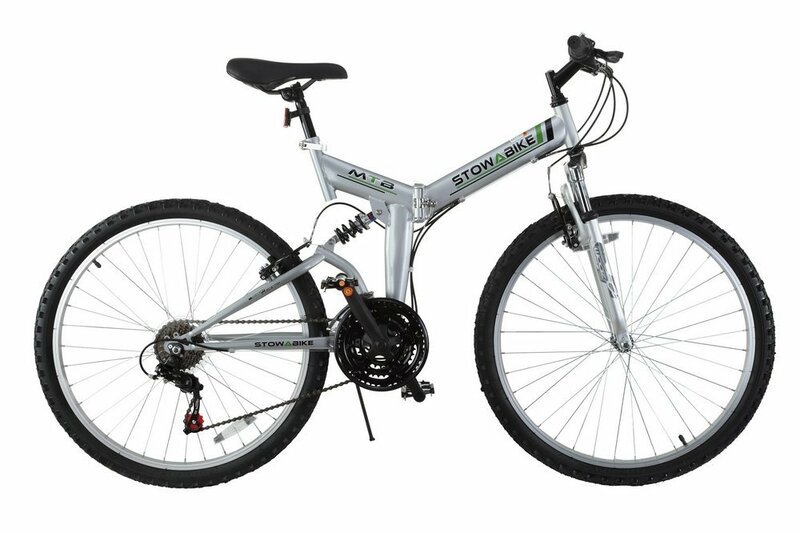 The bike has 18 gear speeds and so is fully functional on the flats and hills alike, although the large tires this bike possesses means that a lot of energy still needs to be expended when climbing steep hills. Unfortunately, when folded down, the bike isn’t very small and remains quite bulky. Carrying it on public transport would pose a difficulty, however for short journeys it is more than usable. 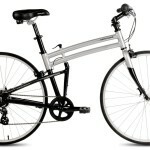 This Stowabike model can be folded down in under 25 seconds, which is certainly on the upper end of the spectrum. The folding mechanism itself isn’t the best either, it feels quite flimsy and the bike rattles slightly when carried too. Aside from this however, there aren’t too many other complaints, especially for the minimal price tag too. One issue with the bike is that the wheels are a pain to remove, they are not quick release like most folding bikes are these days. As a consequence you must spend a fair amount of time doing this job and it takes a lot of force to remove each of the wheels too, not ideal in many situations whatsoever. Furthermore, the derailleur seemed to get jammed repeatedly after using the bike for a prolonged period of time, this was later fixed but it shouldn’t be showing any signs of wear and tear after a single days usage. I wouldn’t recommend purchasing this bike unless you are on a particularly tight budget. There are better hybrid mountain bike models out there, they do cost more, however they offer a much more refined experience. I always find it difficult to complain when the price is so minimal though, you do in fact get what you pay for – a quality budget level folding mountain bike. 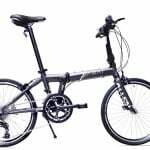 Click here to explore our other Stowabike folding bike reviews.